FIRST® LEGO® League is a competition catering for upper-primary and lower-secondary school students. Every year, teams of up to 10 students build, program and compete with a robot, while also learning about a modern problem in science and engineering and developing solutions for it. The entire competition for the year is based around one of these themes: Past themes include natural disasters, senior citizens, food health & safety, climate change, medical science, and nanotechnology. Tournaments are run with the feel of a sporting event, and teams compete like crazy while having the time of their lives. What FIRST® LEGO® League teams accomplish is nothing short of amazing. It is fun. It's exciting. And the skills they learn will last a lifetime. Every year, teams study the years theme and develop solutions to problems they've identified in society. Through the project, teams learn more about the competition theme and present their ideas to a panel of judges. Working on the project teaches students to research, think critically, work as a team and speak publicly. 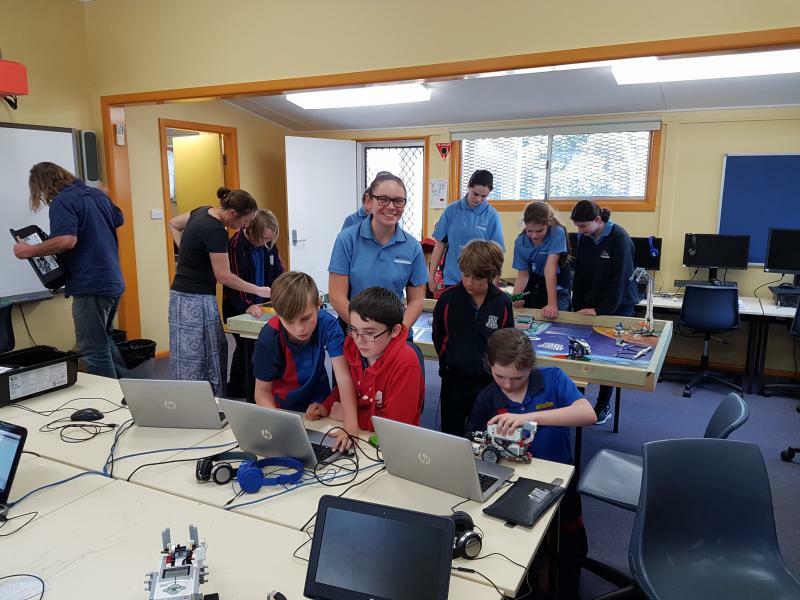 The project shows students they have the power to change the world, as teams can share successful ideas with their community, their school, their families, even all of Australia and the world. The international FIRST® LEGO® League Global Innovation Award provides teams with a way to share their solution with the entire global FIRST community. Throughout the competition, teams are judged on their adherence to the FIRST® LEGO® League core values, including teamwork, Coopertition®, and Gracious Professionalism®. This aspect of FIRST® LEGO® League is designed to develop the students of today into the responsible citizens of tomorrow. Good examples of Core Values are observed and recognised with awards and trophies. Through this celebration of good qualities, FIRST® LEGO® League seeks to make students into better competitors, citizens, problem-solvers and engineers. Each year the new game is released in August, worldwide. Regional qualifying tournaments are held in early November. Teams who advance to state competitions will compete mid-late November. Teams who perform well in their state competitions will qualify to compete at the Australian National Championship in December, at which they may qualify further to compete at an international event, representing Australia. 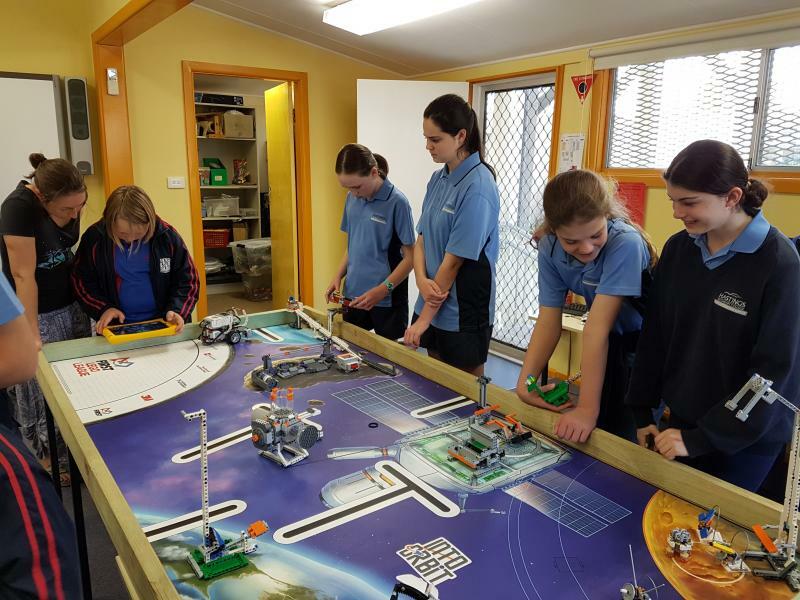 For more information on First Lego League at Hastings Secondary College Contact on 6583 6400 or via email Tony Lane. So proud Hastings Valley Community of Schools. Tomorrow’s innovators practiced imaginative thinking and teamwork. 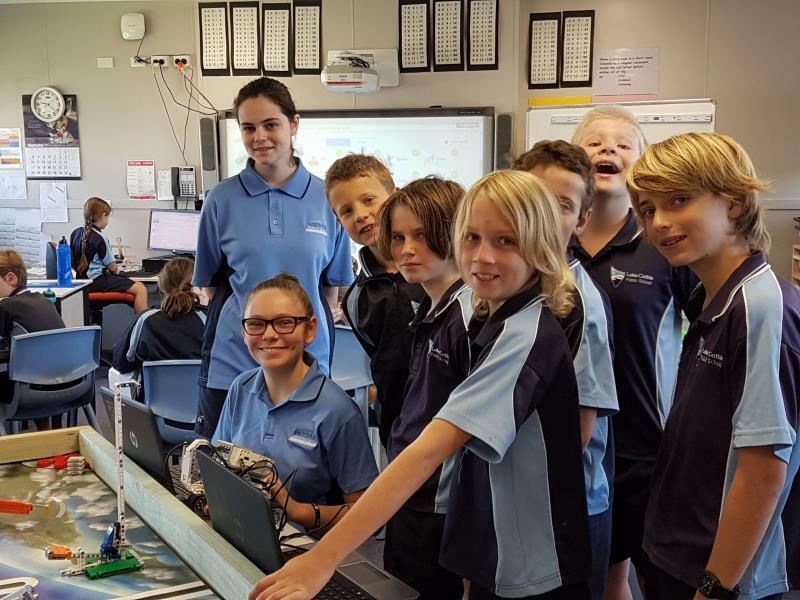 Guided by their Coaches, today HVCS's seven teams represented the Port Macquarie-Hastings at the regional Lego League competition in Coffs Harbour. The crews were ready to explore, challenge and innovate the demanding and inspiring expanse we call space! Each team worked together to break out of their earthly constraints. 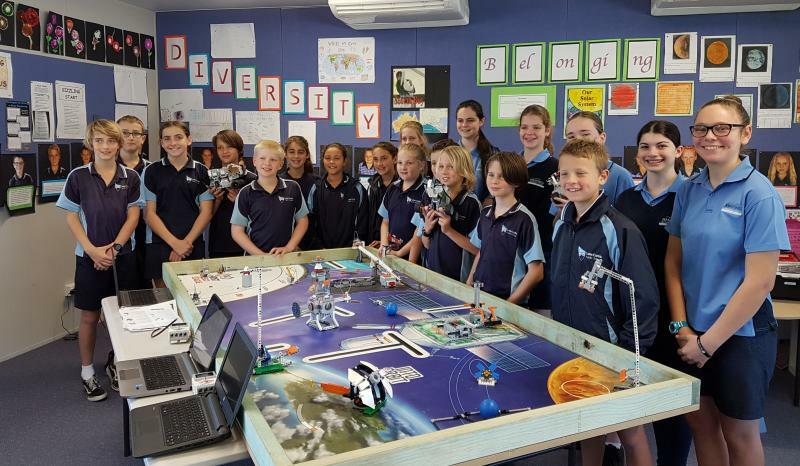 Students built, tested, and programmed an autonomous robot using LEGO® MINDSTORMS technology to solve a set of missions in the Robot Game. Throughout their experience, the teams operate under Core Values celebrating discovery, teamwork, and Gracious Professionalism®. Robotics can transform our culture by creating a world where science and technology are celebrated and where young women dream of becoming science and technology leaders. Think about it- more young women dreaming of becoming leaders in science and technology. We are proud to see the increasing numbers of young women at the College who are discovering that the fields of science, math, engineering, technology and robotics are all open to them.